Clark Seif Clark (CSC) provides indoor air quality (IAQ) testing services to protect workers and the general public from potential airborne hazards. Whether at a jobsite or in someone’s home, there are a number of environmental factors that could increase a person’s risk of developing lung cancer or other respiratory diseases. Lung cancer is the leading cause of cancer deaths and the second most common cancer among both men and women in the United States according the Centers for Disease Control and Prevention (CDC). The CDC states that the most important thing a person can do to lower their lung cancer risk is to quit smoking and to avoid secondhand smoke. The second leading cause of lung cancer is radon, a naturally occurring gas that comes from rocks and dirt and can get trapped in homes and buildings. 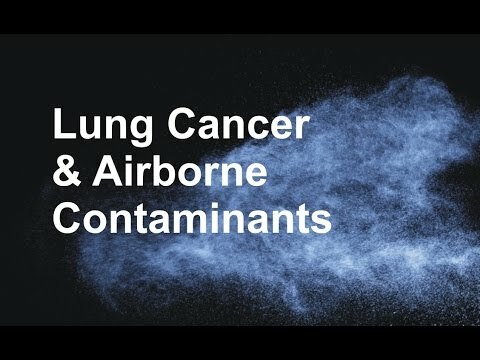 In addition to tobacco smoke and radon, people can be exposed to a number of other substances and chemical compounds at work or in the home that could increase their chances of developing lung cancer. There are many known carcinogens that may be present in the workplace in the form of gases, dusts or fumes. These include, but are not limited to: asbestos, arsenic, formaldehyde, diesel exhaust, and some forms of silica and chromium. Some of these same hazardous substances may also be present in people’s homes and communities. For example, asbestos, formaldehyde and radon can be found in some homes. To learn more about indoor air quality and environmental, health and safety testing services, please visit www.csceng.com, email csc@csceng.com or call (800) 807-1118.